the thrill of it all - moments of joy in the wedding chaos: Feature Wedding - Natalie and Tim - Stillwater at Crittenden Estate, Dromana. Feature Wedding - Natalie and Tim - Stillwater at Crittenden Estate, Dromana. Okay, are we ready for this celebration? Stubbie holders? Check. Giant balloons? Check. Beautifully written blackboards? Check. Macaroon cake? Check. Cute kids? Check. Dad told to keep speech short? Check. Fun-time Dutch family? Check. Fantastic winery with excellent food? Check. All the basics – gorgeous dress, great suits, rings, celebrant? Check. Ace. Now we simply need to turn up, enjoy the day, and hope for fantastic weather. Check, Check, Check. 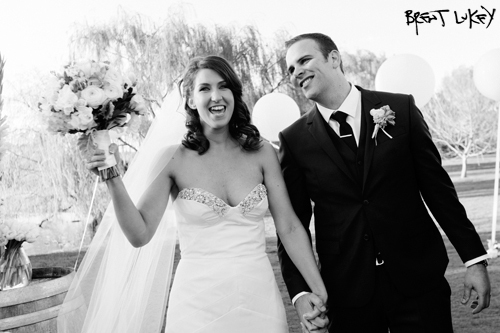 Please click here to see this magnificent Mornington Peninsula wedding. Natalie and Tim - Stillwater at Crittenden Estate, Dromana.